There are some groups of people for whom circum­stances or conditions require some adjustment in the usual career development process. Although the career development process must be somewhat individualized for each person due to unique characteristics and cir­cumstances, there are commonalities generally shared by others within groups of people. Groups that may face some different experiences in the career develop­ment process include women, ethnic and racial minor­ity groups, persons with disabilities, delayed entrants into the work force (e.g.. displaced homemakers. re­turning military personnel. prior offenders), midlife changers (voluntary or involuntary), older workers, and gay, lesbian, and bisexual individuals. Compared with men, women experience special problems in their career development that have not been adequately addressed in the major career devel­opment theories. Some progress has been made, as re­flected in the work of Hackett and Betz (1981), Farmer (1985), and Fassinger (1985), for example. It is sug­gested by these writers and others that women’s career issues are much more complex than are those facing men. Different cultures may have different conceptions of the family, gender roles, and work-family relationships. For example, “career” may have a collective, not an individual meaning. Although it is important to under­stand the meaning work and related concepts have for an individual’s racial or ethnic group, it is also impor­tant to assess the salience of membership in a cultural group to better understand a person’s career behavior. A person with disabilities is one who is usually con­sidered different physically or psychologically from a normal person because of birth, developmental problems, accident, or disease. 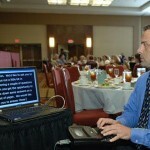 These disabilities may or may not be a vocational hindrance. An important recent development relating to individuals with disabilities and work is the passage of the Americans with Disabilities Act (ADA) of 1990. In this act, a distinction is made between essential and nonessential job functions, and an employer may only consider the former when hiring or promoting. 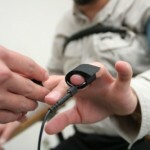 In vocational rehabilitation, psycholo­gists and counselors will engage in all or some of the following activities when working with a client: voca­tional testing, situational assessment (work sampling, vocational evaluation), skills training, employment preparation, counseling, job referral and placement, work adjustment training, and postplacement counsel­ing. It must be noted that the identification of group dif­ferences and cultural and environmental influences in the emergence of those differences cannot be trans­lated into definite conclusions about individuals who are members of identifiable groups. All individuals are influenced to varying degrees by their environment, but psychological research has shown that differences between persons within a particular group typically exceed the degree of difference between groups. Therefore, although the exploration of group influences can advance the understanding of career development. it is important for the vocational psychologist not to extend these findings rigidly when working with indi­vidual clients.